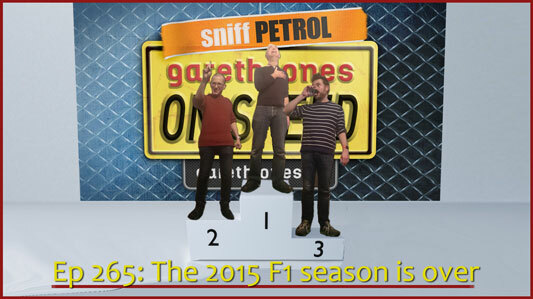 #265 The 2015 F1 season is over, how do we feel? Is Lewis glad it’s all over? Is he off Nico’s Christmas card list? What happened to Alonso’s sabbatical? Richard spends a week in a Rolls-Royce. Plus Sniff Petrol on an F1 rule change and the Verstappens.